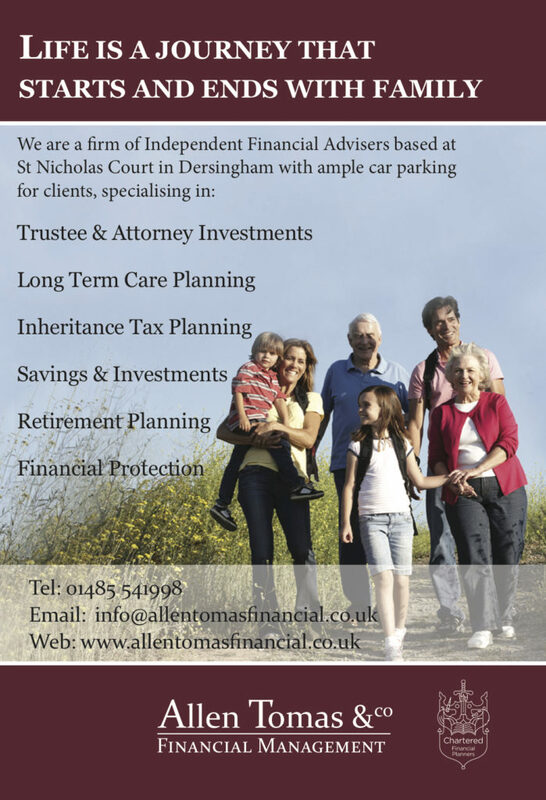 Allen Tomas & Co Financial Management Ltd is a firm of Chartered Financial Planners based in Dersingham on the Sandringham Estate near Kings Lynn Norfolk. We advise and manage funds for individuals, trustees and businesses, with the ethos of our Company being to build long and loyal client relationships through our ongoing management service. 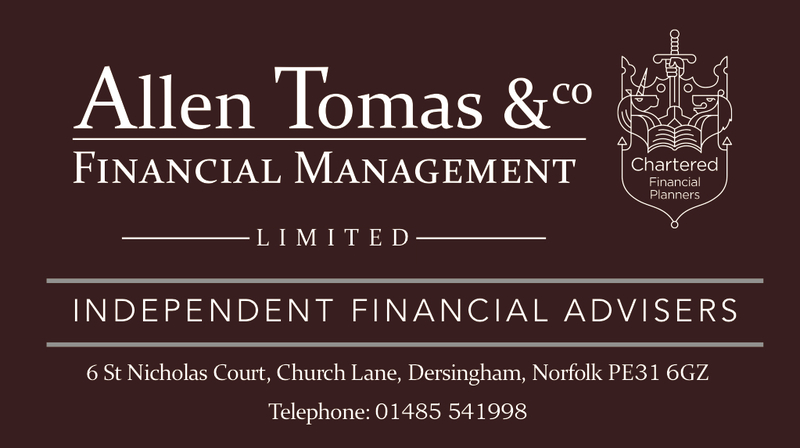 We provide Independent Financial Advice in the following areas: Savings & Investments, Pensions & Inheritance Tax Planning, Protection & Long-term Care Planning.